Spam has been the bane of email for a long time, but I’d be lying if I said my inbox was full of spam nowadays – it isn’t. 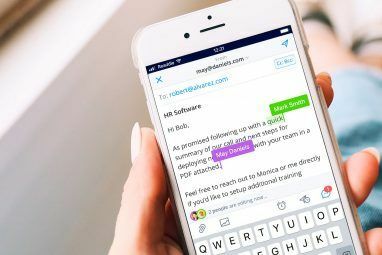 Filters and worldwide anti-spam networks cut it right down, and increasingly savvy consumers are unwilling to give out their email to just anyone. I personally haven’t seen a single spam message hit my inbox for years now. Grey mail is the new productivity killer, and it’s only going to get worse. What is grey mail, and how can Hotmail help you to get rid of it? A UK study commissioned by Hotmail showed that Brits spend 2 weeks each year managing their email clutter – that’s twice as much time as they spend socialising with family or friends. Most of this email management occurs at 6pm! It’s a sad fact that many people actually experience anxiety when they have unread emails – nearly one in ten claim to even have trouble sleeping if their inbox is disorganised. 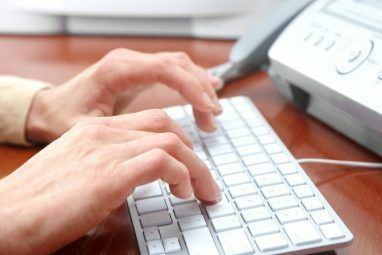 Although we each have a unique way of using our inbox – I for instance treat my inbox as a to-do list, leaving only actionable items or mails requiring a response – others have taken digital hoarding to new levels, and help is needed to bust that clutter. 1 in 10 Brits never delete an email. Perhaps worst of all, 10% of men and 5% of women claimed to have missed a first date because they either deleted or didn’t read a critical email. All that lost love! Is this really a problem though? How much email do we actually get? Well, the average inbox will receive 14,600 emails this year. About 80% of that is going to be so-called grey mail. Offers or newsletters from an online shop you use (or purchased something from, just once). Groupon or Living Social “daily deals” that are generally only relevant for the day they’re sent, yet they still collect in your inbox. Mailing lists such as Freecycle which generate an enormous volume of emails and are mostly useless. Social media updates, as if we didn’t already get enough on Facebook. So what can you do about it? Thankfully, Hotmail has some answers. Last year, Hotmail introduced a new Sweep button to help you deal with inboxes full of grey mail. During testing, I was able to sweep an inbox with over 1,000 emails down to 5 – in less than 3 minutes. It may be exactly what you need to clean up your clutter. I believe similar functionality is offered by using Gmail’s filters 5 Gmail Filters to Help Prioritize & Organize Your Inbox 5 Gmail Filters to Help Prioritize & Organize Your Inbox What filters should each and every person have in their arsenal so that their inbox is as orderly as mine? 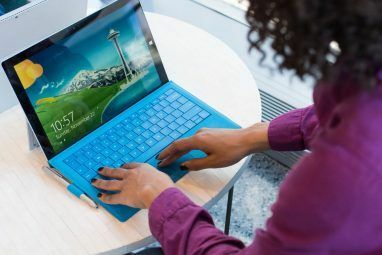 I'm here to help you get started in setting up your first five filters, or... Read More , but frankly I find the Hotmail sweep tool to be a lot more user friendly, and it also works retroactively rather than only applying itself to new emails. Delete & Block: For grey mail you just don’t want anymore, this will obliterate it. Choose the option Delete all from the sweep tool, then you can block future messages also. Nice. Schedule Cleanup: This allows you to keep only the latest email, useful for those Daily Deals emails and such that you do still want, but the old ones are useless. Move All: In some cases, you might want to keep the messages. Maybe you’re studying an online course through daily emails? In that case, you simply brush them out of the way and into their own folder. Pick Move all from the sweep menu, then have them sent to a new folder or your choosing. You can further prioritise certain emails by creating a custom rule to flag them – this will put any message from a certain sender to the top of your inbox. The setup is a little more complicated though, sadly. Go to Options -> More Options -> Rules for sorting new messages, and create a new rule. Type in the from address of your important contact, and set them to be flagged. While I don’t have an enormous problem with grey mail myself, I have family that do. If you do too, point them in the direction of that sweep button and be amazed as they cut the clutter. Do you know of any similar tools, perhaps in an offline mail client? I know Justin’s a big fan of Unsubcribr for Gmail Mass Unsubscribe From Nuisance Email Newsletters With Unsubscribr Mass Unsubscribe From Nuisance Email Newsletters With Unsubscribr Do you get more email than you know what to do with? You're not alone. I get multiple, daily emails that I routinely delete without so much as opening. 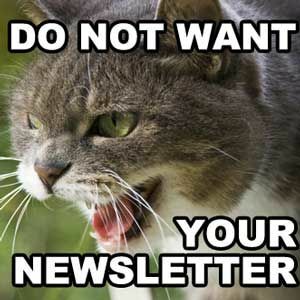 Or, at least, I did, until... Read More , which will help you deal with those pesky unwanted newsletters directly at the source. Let us know in the comments! I have no problem with Greymail, in fact I kind of like it. @Olog-hi, interesting that you mentioned the term bacn, it has also been called ham from my research... so the list grows. ZigMail uses the phrase "transactional" email. Although not as short or crafty as bacn or ham, it seems relevant to the type of communication that we all are dealing with here. BTW, ZigMail offers a "sweep" type of feature called QuickStart that can clean your greymail straight out of your account (they support a lot of the popular free email providers), not only that, but you get a zigmail.com address then that you can use while shopping online in the future. Rather than checking a second email account, they send you a daily digest so you can still get a quick "highlights" few of what went into ZigMail. I really like the "Schedule Cleanup" feature. Keeping only the latest day's email for some of these things is such a common sense feature. It's nice to actually see Hotmail and Microsoft trying to innovate. Competition is good. GMail's filters can be applied retroactively. When you create a filter, you are prompted to apply it to older messages in your mailbox. What you and Microsoft call "greymail" already had the name "bacn." If you belong to a service like Freecycle, which is valuable from time to time (so you don't want to unsubscribe in case you need to use it) just make a rule that transfers Freecycle emails straight to trash. Then, when you want to make use of Freecycle, simply suspend that rule. I like to keep an eye on what is being given away anyway though, so I think for me a better scenario would be to keep 2 days of messages in one separate folder. You do realize that Gmail's filters can be done retro-actively too, right? I asked a fellow writer about that and they seemed to think not, but fair enough, thank you. I still think the Hotmail sweep function is much more user friendly than gmails advanced filters though. - sites that require your email in order to let you download stuff (e.g. MakeUseOf). Actually Qox, we altered that 6 months ago so that now the option of sharing the page via google plus, twitter or facebook is also a possibility. We do not *require* you to sign up to the newsletter at all, but newsletter subscribers do get a free pass when it comes to downloads.